Father Ted, the British sitcom about three disgraced Irish Catholic priests exiled to a parish on a remote island as punishment for their past misdeeds, first aired in 1995. If you were a fan of the show back in the day, does it still make you laugh if you watch it again now? 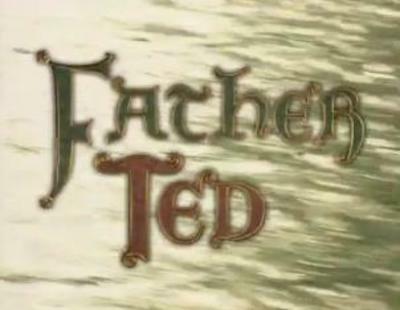 "Father Ted" title card from Hatrick Productions. Licensed under Fair use via Wikipedia. I watched an episode the other night and it still makes me laugh. It's timeless. Although I have only seen a few episode, I do find it funny, and I think comedies of this kind are timeless, and will always produce a laugh. I think these sorts of comedies are much better than the modern ones we get today. Yes, I used it watch it back then, & thought it was very amusing. i didn’t know it was back on TV now.